I think I found a quicker and easier fix. At least it works for me. When the volume keys don't respond (happens pretty often and I haven't figured out why) I simply put the computer in sleep mode then re-awaken it. Takes a few seconds but it works every time. sudo osascript -e "set Volume 5"
This happened to me too I just shutdown the mac and turned it on again, after this it was back to normal. I just plugged an audio device back into my macbook air, worked. didn't need to put to sleep or do some code or restart. I tried all the other answers (enabling the internal speakers, killing coreaudiod, putting the computer to sleep), but the only thing that worked for me was a reboot. I also read somewhere that rebooting into safe mode might fix it, but thankfully I didn't need to do that. Adjust the slider bar at the bottom where it says "Output volume". Even a small adjustment to the aforementioned slider bar re-enables the keyboard volume controls for me. The question I actually want answered is why the problem happens in the first place. Please let me know if anyone finds out. I just rebooted and it worked for me! Been having this trouble since I did the last round of updates. I had this problem twice within this week, first time it happened. I checked the settings but did not have any other audio device connected. Tried putting my computer to sleep and waking it again, tried quitting the sound applications and started it again, all didn't work. What worked was I adjusted the volume in the settings by dragging the volume bar manually and I was able to use my volume buttons again. Not the answer you're looking for? Browse other questions tagged keyboard mavericks macbook audio . How does the volume control work on my iPod touch? Volume Keys not working with HDMI audio on mac OSX Lion? 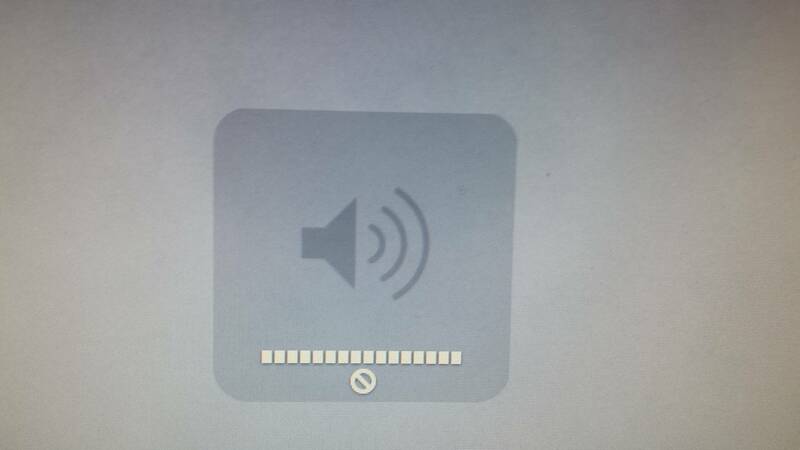 Can I lower the minimum volume on my Mac? How can I guarantee that audio only from my media player hits the speakers?